Is your digital life safe now? 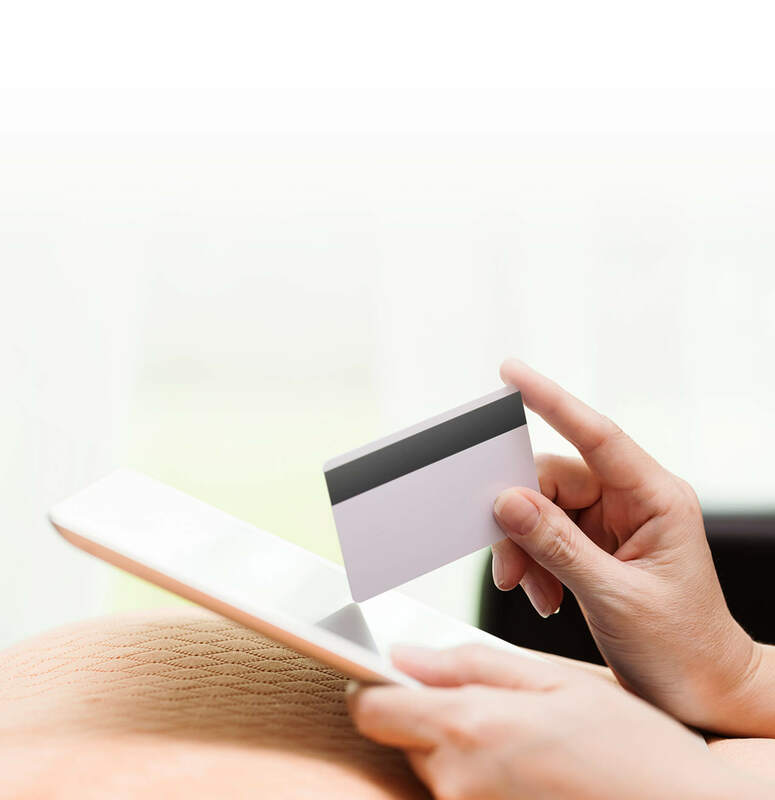 Are you sure your online transactions are secure ? are attacked by cyber threats every minute? Keeps you protected when surfing online with 3G, 4G and Wi-Fi. Instantly get alerts when malware or virus found while downloading unsafe applications. Always keep update new malwares or virus signature. Get connected to trusted public Wi-Fi hotspot anywhere with regardless of risks. 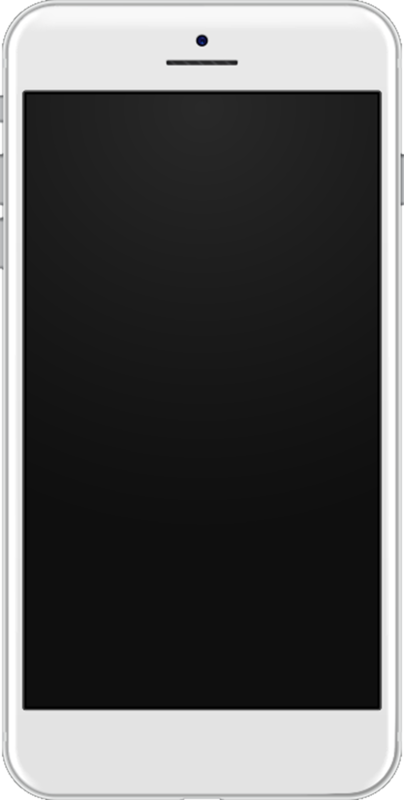 The ZoneAlarm Mobile Security service is avaliable to all AWN smartphone users except corporate customers. Network-level protection. The service will prevent ‘man-in-the-middle’ attacks when connecting to public Wi-Fi and unverified networks.This protection also includes SSL data hacking prevention and network analysis. It can verify and recommend secure public Wi-Fi networks to prevent hacking personal data when connected to a public Wi-Fi. Smartphone-level protection. Some phone settings can facilitate vulnerability to malware attacks . An example is: installing a 3rd party application from an unknown source. Furthermore, ZoneAlarm Mobile Security has the ability to analyze the operating system fail, by using OpenSSL on iOS and analyzing proxy values that can affect device’s security protocol. Rooting and jail-breaking the device OS can create a loophole that allows malware attacks, which ZoneAlarm can also prevent it. Application-level protection. This is a very common but effective attack used by many cyber criminals around the world. Most users do not pay much attention when application requests access permissions during installation. Application with malware embedded can grant remote access to the device, where the hacker can access user information or can even use a microphone to eavesdrop on the owner. o	ZoneAlarm is designed to analyze applications in multiple layers to detect and prevent these applications from running on Smartphones. ZoneAlarm Mobile Security service is avaliable on iOS version 9.0 and over and Android version 4.2 and later. The ZoneAlarm Mobile Security Service is activated and shall become effective on the date on which the service commences. The service shall continue to be effective until AWN terminates this agreement by written notice via SMS using the number registered with each of the user’s accounts. Such notice shall be given at least 30 (thirty) days prior to the termination. The Customer is able to cancel the ZoneAlarm Mobile Security Service Account, at any time, online at www.ais.co.th/eservice.htmp or through the mY AIS mobile application. Such termination, once made, shall enter into effect immediately. For more information, the Customer is referred to www.ais.co.th/ZoneAlarm . The Customer who is receiving the ZoneAlarm Mobile Security Service 30 (thirty) day trial can cancel the service at any time via the AIS CALL CENTER 1175/1148. Once the cancellation is made, the Customer can use the service until the end of the billing period. AWN reserves all rights to manage the ZoneAlarm Mobile Security service, including updates, modifications, or deletions of any contents or service functions, as well as modifications to presentation, configuration, options and any features at any time. AWN reserves the sole rights to modify, delete, or change the service settings and service features without prior notice. AWN is able to amend the conditions and procedures of the ZoneAlarm Mobile Security service at any time. All updates or modifications shall be addressed at www.ais.co.th/zonealarm for at least 30 days after the update. Should the Customer disagree with the updated conditions, s/he can cancel the service. Protection of the system integrity, security, continuity or quality of the service. Doubt whereby the User is suspected of committing forgery or any acts that may damage others or be in breach of service conditions or contract and/or the law. Any copy, duplication, alteration by the User which damages the ZoneAlarm Mobile Security service and AWN including its partner. Defamation, whereby the User makes a complaint in public regarding the ZoneAlarm Mobile Security service without reasonable grounds, falsifies the service information, through online or any other media without proof which affects the reputation of the ZoneAlarm Mobile Security service, the Company, and its partner(s). Once the Customer registers through the USSD code *689*9# #, s/he shall receive a confirmation SMS and an SMS providing a link to download the application. Once the application is downloaded, the Customer must activate the application only via 3G/4G mobile service otherwise the activation shall be deemed failed. •	If the Customer wishes to cancel the service during the free trial period, s/he can cancel the service through the AIS CALL CENTER at 1175/1148 (24 hours). If the Customer does not cancel the service, the service shall be renewed automatically and shall be charged on a monthly basis. •	The automatic renewal shall be effective after the thirtieth (30th) day of the free trial period and shall commence at midnight (00.00) on the first (1st) day of the following billing period. The Customer shall accept the terms regarding payment of a monthly service charge, including the terms and conditions of the ZoneAlarm service. 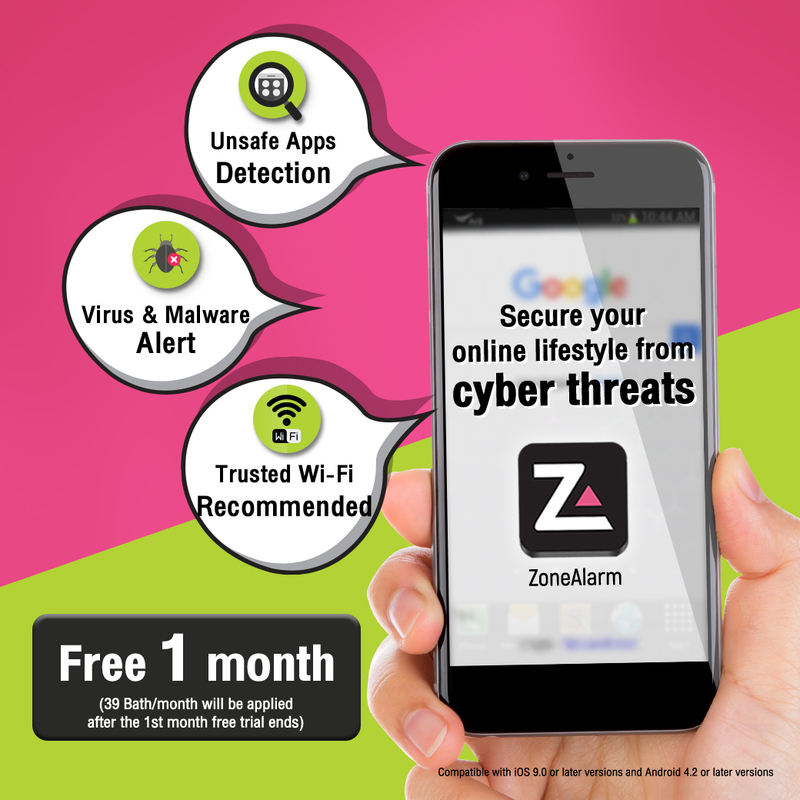 A Customer who registers for ZoneAlarm service from other service providers or through an online store (App store or Google Play Store) which is also not on a free trial period must terminate the service with the former service provider prior to moving to the AWN ZoneAlarm service. For more information, please contact the AIS CALL CENTER 1175/1148 or visit www.ais.co.th/zonealarm. Should the Customer wish to register for the ZoneAlarm service for the second time using the same registered number, the USSD code *689*9# is not applicable. The Customer is however able to register by using the USSD code *689*1# (The 30 (thirty) day free trial is not applied in this case). The monthly service charge shall begin after the Customer receives the SMS to download the application. The Customer shall also receive notification by SMS in the case that the application has been neither downloaded nor activated. Displaying and informing the customer of the details of the terms and conditions and pricing of the ZoneAlarm service, so that the customer can understand and accept the terms set by AWN. 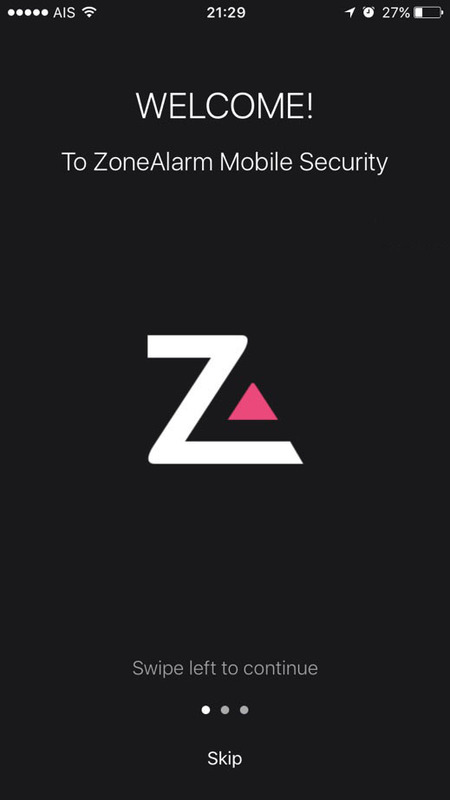 The customer is responsible for payment for the ZoneAlarm service whether the customer uses the service or not, including customers who remove or uninstall the program without terminating the service with the company. The ZoneAlarm package fee is due every 30 days starting from the date of service activation. The ZoneAlarm monthly service fee commences on the day that the customer receives the SMS with the download link. with a 30-day free trial. Limited to one ZoneAlarm account per number. The ZoneAlarm application on both iOS and Android requires 3G/4G or Wi-Fi data usage. To terminate the ZoneAlarm Service, the customer can submit his/her inquiry online at www.ais.co.th/zonealarm, through the mY AIS application or the AIS CALL CENTER 1175/1148. If the service system is unable to collect the service fee from the customer’s account, for post-paid accounts that have an overdue balance of more than 2 months, the ZoneAlarm account will be terminated 10 days after the 2nd billing cycle has ended. For pre-paid accounts, if the system is unable to charge the customer’s account within 7 days after the end of the previous billing cycle, the ZoneAlarm account will be terminated. AWN or the Licensor have the proprietary right and hold an exclusive rights related to the service, which include copyright, related rights, and industrial property rights. When the license expires, any intellectual property rights granted to the Customer shall be revoked. AWN shall accordingly give a 30 (thirty) day period of notice prior to the expiration. The Customer is not able to delete or amend any terms and conditions with respect to the intellectual property and other rights to confidentiality which include trademarks, descriptions, or any symbols. All terms and conditions in this agreement shall be governed by the laws of Thailand. Should there be any dispute in relation to interpretation or enforcement of the law, both parties agree that the Court of Thailand shall have exclusive jurisdiction to adjudicate any such dispute arising under or in connection with this Agreement. The Company shall not be held responsible for any loss of file, folder, image, list of contacts or any other data on the Smartphone using the ZoneAlarm service for the application itself is not able to delete or hide such data. AWN is not responsible for any damage, either directly or indirectly, caused by the installation and/or usage of the application. AWN provides no guarantee that the use of the ZoneAlarm service shall maintain the Customer’s phone completely virus-free, therefore the Company will not guarantee any such security. AWN reserves the right neither to be a proxy to any responsibilities derived from the use of the ZoneAlarm service, nor a proxy for any indemnification, prosecution, or any legal acts relating to the copyright owner; either directly or indirectly. Once the installation is completed, please connect to 3G/4G for the first service activation, then the ZoneAlarm tutorial will be started automatically. 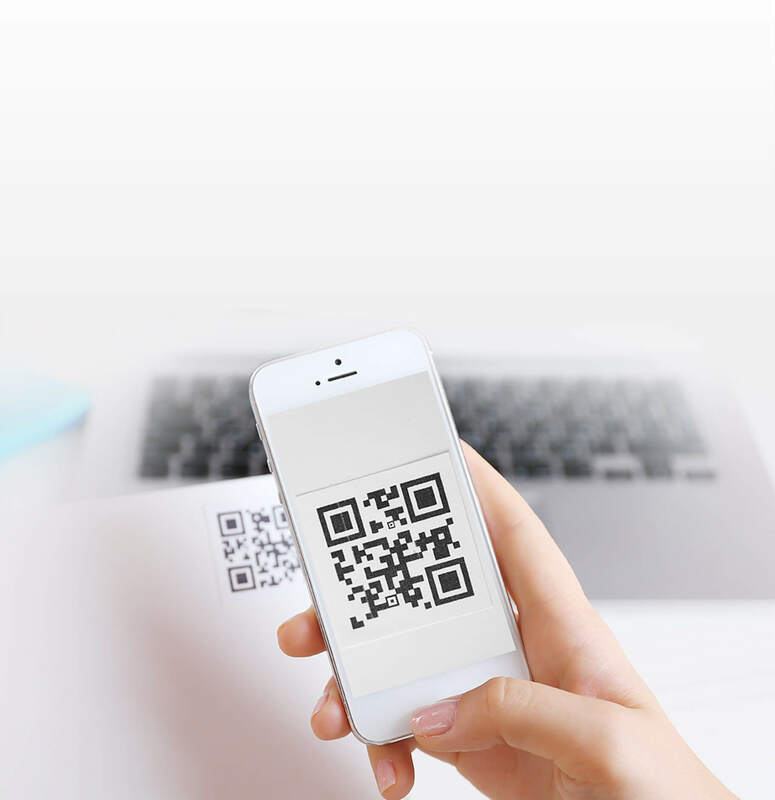 Start scanning your device by pressing the scan button. All security flaws and infected items found will be reported. 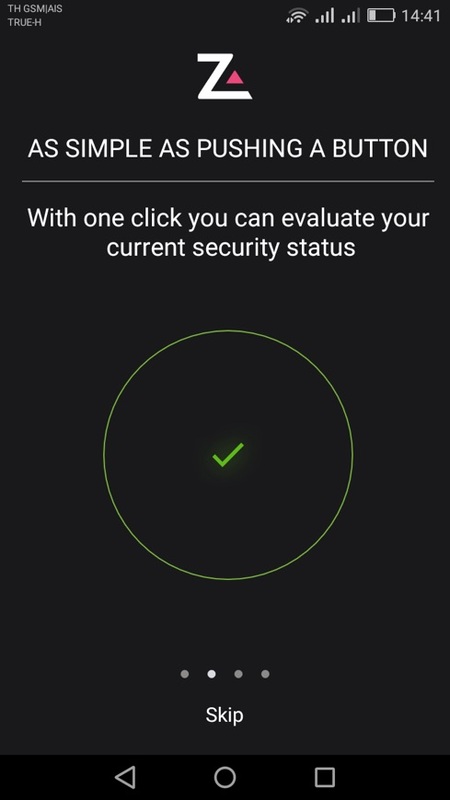 Instantly alert and automatically re-scan your device when switching from 3G/4G Network to a Wi-Fi network connection or vice versa. 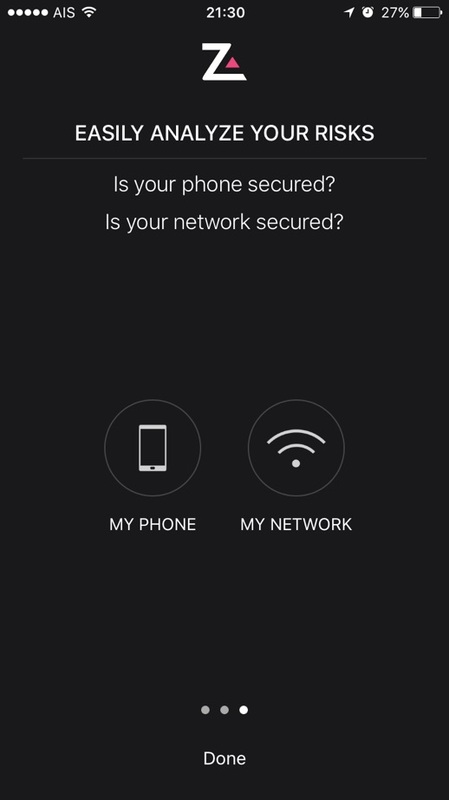 In the Setting > Wi-Fi menu, Wi-Fi network labeled with “Trusted by ZoneAlarm” will be recommended to ensure your secured connection. Whenever connecting to any unsecured Wi-Fi network, ZoneAlarm will notify and recommend you to leave the network. 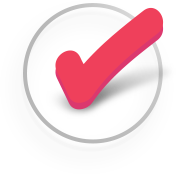 ZoneAlarm monitors your device with the international standard checking to find any abnormality or vulnerability. 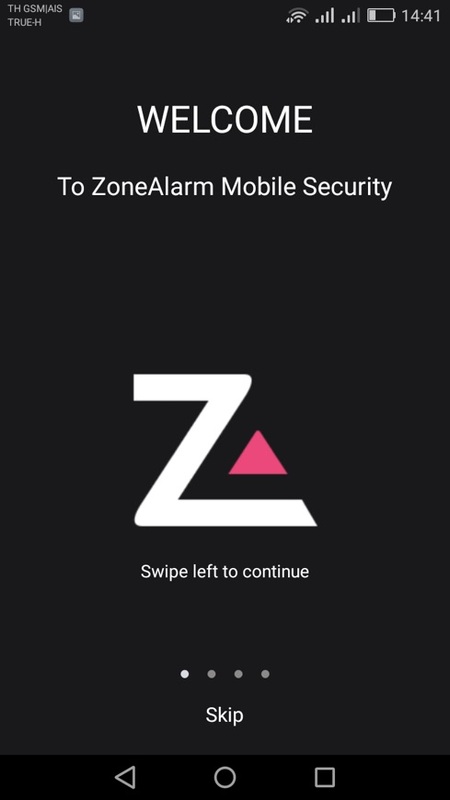 ZoneAlarm monitors network security while you are connecting, and instanly alert you when you are connecting with any unsecured or suspicious network. ZoneAlarm protects you from any risks of cyber threat that may cause security flaws or informations leaked. What is the AIS ZoneAlarm Mobile Security service? AIS ZoneAlarm Mobilie Security service is a cyber-threat prevention application that can protect your smart devices from cyber threats such as viruses, malware or spyware. Thus you will feel confident that your smartphone and personal data will be protected while you surf websites, use the applications and download files from the internet. Who can use the AIS ZoneAlarm Mobile Security service? Both AIS prepaid and postpaid customers with a Smartphone can subscribe to this service, except corporate customers, ASEAN SIM users and any customers who are on the ineligible list as defined by the company. What operating system can the AIS ZoneAlarm Mobile Security service operate on? How much does the AIS ZoneAlarm Mobile Security service cost? ** If the ZoneAlarm service is terminated by the user, the next subscription(s) will not be eligible for the 30-day free trial again. How can I subscribe to the AIS ZoneAlarm Mobile Security service? *689*9# for your first-time subscription, to receive the 30-day free trial privilege. The service fee will be charged when the free trial ends. *689*1# The service fee will be applied after subscription is completed, without the free trial privilege. 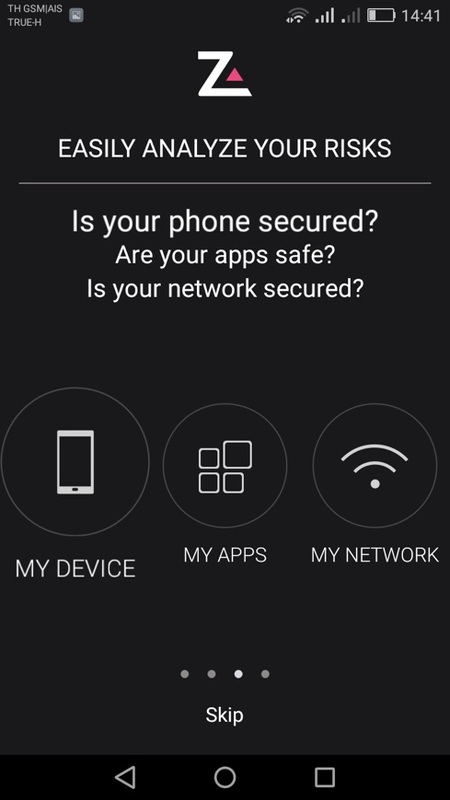 What should I do if I have the AIS ZoneAlarm Mobile Security app installed but I need to change my phone while using the same number? You can continue using the AIS ZoneAlarm Mobile Security service on your other phone by using the USSD code *689*4# to request a new download link on the new phone. Once installation is complete, you can use the service as normal. However, the service on your previous phone will automatically be terminated. Can I use the AIS ZoneAlarm application on my previous phone after I switch the SIM card to a new phone? 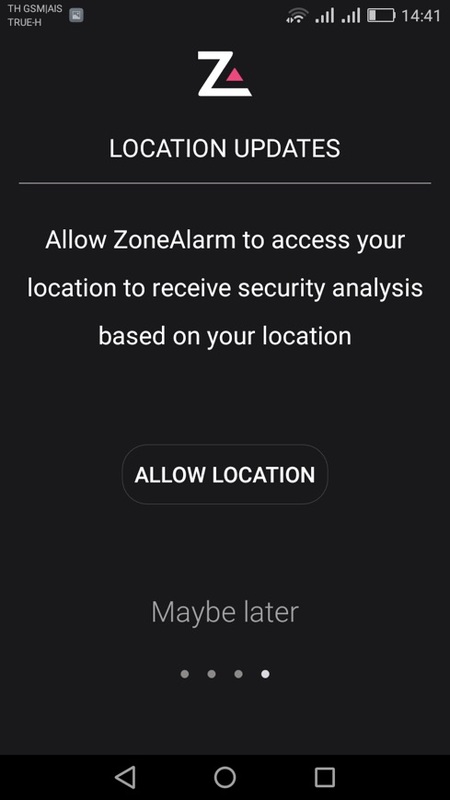 Your previous device with the AIS ZoneAlarm application installed can still use as normal. If I have to change my number to a new AIS number, will the AIS ZoneAlarm application still use? If you need to terminate your old number and switch to a new number, the AIS ZoneAlarm service will be terminated as well. However, if you wish to continue using the AIS ZoneAlarm, you can re-subscribe by using the USSD code *689*9#. How do I unsubscribe the AIS ZoneAlarm Mobile Security service? Self-service through the online channel such as http://www.ais.co.th/eservice.html or MyAIS application. The termination will be immediately effective. If you wish to unsubscribe from the service during the free trial period, call the AIS CALL CENTER at 1175/1148. Termination will be effective from the date the free trial ends. Can MultiSIM customers use the AIS ZoneAlarm on a device that is not a primary device? Yes. Once a customer subscribes through the primary SIM, he/she can use the AIS ZoneAlarm application on other sub-SIMs or devices under the same MultiSIM number. However, the service is limited to one device at the same time. How do I subscribe to the AIS ZoneAlarm application? Subscribe using the USSD code *689*9#. The system will send a confirmation SMS together with an AIS ZoneAlarm application download link to your Smartphone. Click on the link and once the download and installation are completed, you can use the AIS ZoneAlarm. For first-time access, you activate the application when you connect using your cellular (3G/4G) network. If I’m using the AIS ZoneAlarm application on iOS, can I switch to using the service on Android? Yes. Simply request a new download link using the USSD code *689*4#. If I frequently change my devices, can I continue using the AIS ZoneAlarm service on my new devices? Yes. But the AIS ZoneAlarm service applies to one device at the same time. You can download the application on to the new device through the Apple/Play Store or get the download link using the USSD code *689*4#. Can I install the AIS ZoneAlarm application on a memory card? No. The application cannot be installed on a phone’s memory card. It can only be installed on the Smartphone’s ROM. What should I do if I haven’t got an SMS link? If you haven’t got the SMS link after subscribing, try turning the phone off and on again. If you still do not receive the SMS, please contact the AIS CALL CENTER at 1175/1148. If I’m using the AIS ZoneAlarm service from another provider (Apple/Play Store) can I apply it again with AIS? Yes. You can subscribe to the AIS ZoneAlarm with AIS but only after you have terminated the service with the previous provider - to prevent being charged twice. ** If you need assistance on how to terminate the service with the previous provider, please contact any AIS Shop or the AIS CALL CENTER at 1175/1148. If I’m using a free trial version of the AIS ZoneAlarm from App Store/ Play Store, can I still subscribe with AIS? You can subscibe to the service by using the USSD code *689*9#. However, if you are using the free trial version that has been downloaded from App Store / Play Store, once subscribed to the AIS, the previous free-trial period will be terminated and replaced by the AIS 30-days free trial promotion. How much does the AIS ZoneAlarm service affect my battery life? The AIS ZoneAlarm service consumes very little battery power. Can AIS ZoneAlarm protect both my smartphone and SIM card from cyber-threats? AIS ZoneAlarm can only prevent cyber-threats for Smartphones - not a SIM card. What type of malware can AIS ZoneAlarm detect? 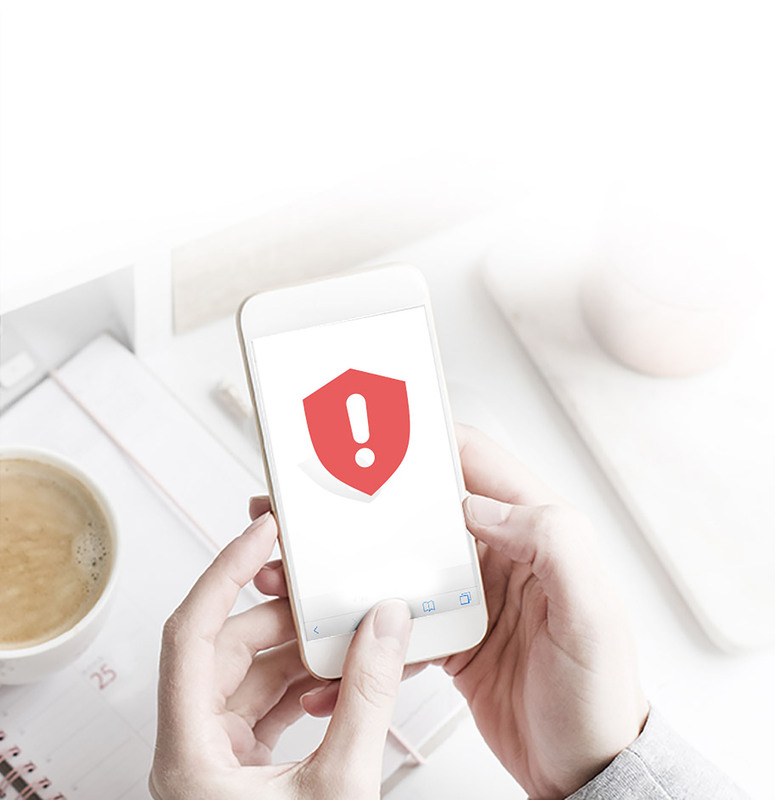 The AIS ZoneAlarm application can protect your phone from numerous types of threats and malware such as viruses, worms, spyware, ransomware and many other new threats. How oftern does the AIS ZoneAlarm service scan my smartphone? The AIS ZoneAlarm service will scan the device automatically every 4 hours and you can also scan it manually at any time. What can the AIS ZoneAlarm service scan? The AIS ZoneAlarm service can monitor applications on Smartphones, including the SD card. The service also recommends a secured public Wi-Fi hotspots for your secured connection. Can the AIS ZoneAlarm service scan messages and attached files? Currently, the AIS ZoneAlarm service does not cover messages or attached file scanning. Can the AIS ZoneAlarm service check for viruses on a memory card? Memory card scanning is not covered now. The AIS ZoneAlarm service will only scan applications on a user’s device. Can the AIS ZoneAlarm service prevent hidden threats that come through an OTA (Over-The-Air) channel? 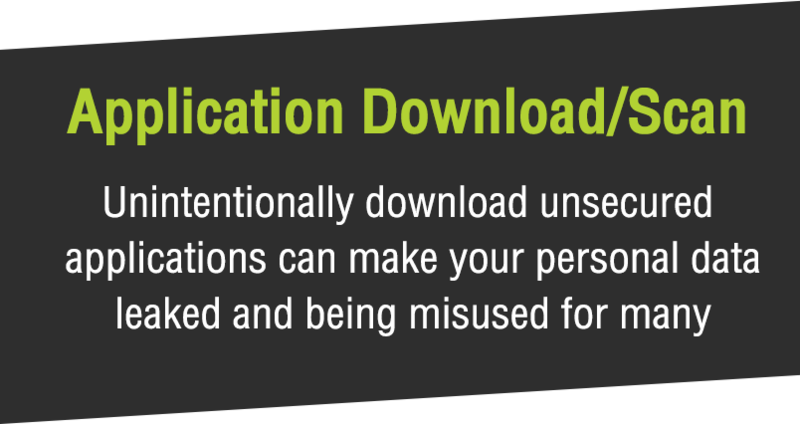 The AIS ZoneAlarm service can prevent malware threats embedded within downloaded applications. It also comes with a function that can recommend safe Wi-Fi hotspots. However, it cannot prevent threats from bluetooth and infrared downloads at this time. If there was a virus alert from the AIS ZoneAlarm application but I haven’t done anything about it, can I go back and delete them? You can re-scan for viruses and malware by yourself. The AIS ZoneAlarm application will automatically scan the system and alert you to delete this application again once a threat is detected. 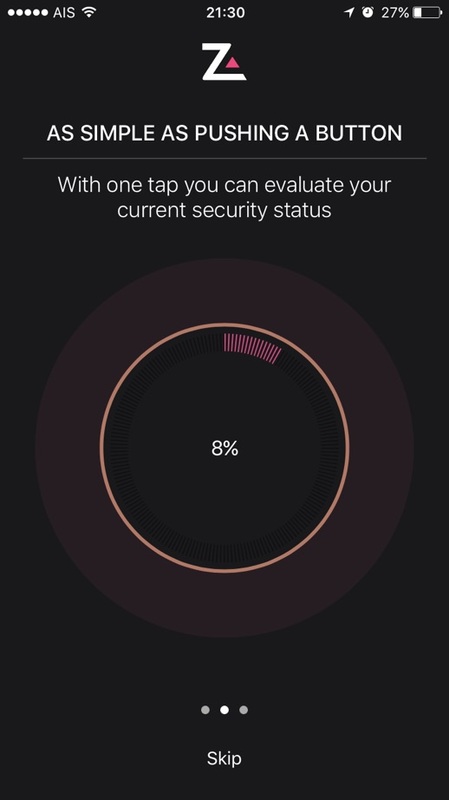 If I haven’t used the AIS ZoneAlarm for a long time, will the AIS ZoneAlarm still protect my device? The AIS ZoneAlarm application always has a background process running. However, For maximum protection, you should check and update the application regularly. And make sure the Background scan menu has been enabled by going to : Security Setting > Background Scan > Monitor security in the background function. How do I know if the AIS ZoneAlarm has been updated prior to the last scan? There is no way to check AIS ZoneAlarm updates, but the AIS ZoneAlarm will automatically connect to the internet and update everytime when there is initiates a scan manually. How much data does AIS ZoneAlarm consume? The AIS ZoneAlarm application will connect to the internet on every manually scan and it only consumes 2-5 MB per month, but it may increase, depending on the number of installed applications on your device. If I’m using the AIS ZoneAlarm during the free trial phase on one number and the free trial is about to end, can I switch to a new number and request another free trial? Yes. Simply get a new privilege for the new phone number. The 30-day free trial is limited to 1 privilege per number. However, customer must terminate the AIS ZoneAlarm service on the previous number prior to the end of trial period to avoid the service charges that will be applied once the trial phase ends. To terminate the service during the trial phase, please call 1175/1148. 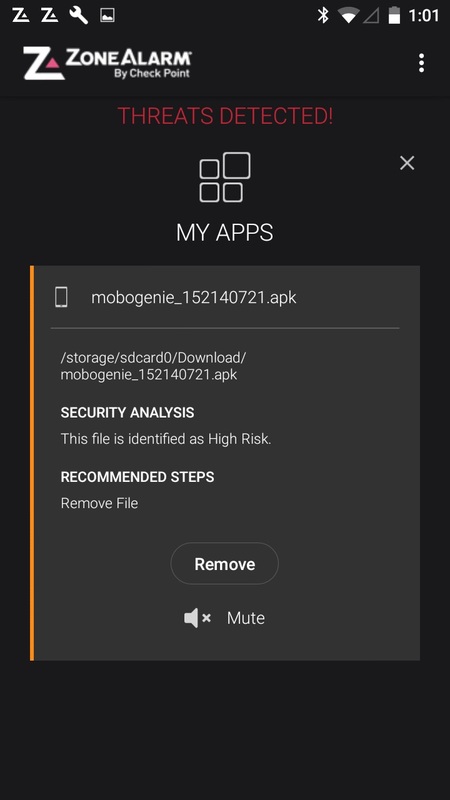 What should I do if I’m using the AIS ZoneAlarm and I find that some files are missing from my device and I suspect a virus could have caused this but ZoneAlarm could not detect it? The AIS ZoneAlarm application will display an alert once a virus, malware or threatening file is detected but it will not remove your file or application. You will have to verify if that file or application is the threat or not and delete it manually. So, it is possible that you might have deleted that file by yourself. For more information, please contact 1175/1148. What should I do when some of my applications cannot be updated because there is an alert from AIS ZoneAlarm? If the update still cannot initiate, please delete the application and reinstall it. If the application or update installation is still blocked, please uninstall the AIS ZoneAlarm application and install that application prior to reinstalling the AIS ZoneAlarm, by using the USSD code *689*4#. What if I don’t need to use the AIS ZoneAlarm anymore? Can I uninstall it? Yes, but you must terminate the subscription to prevent further charges. For termination during the trial phase, please call 1175/1148. For other subscribers, simply terminate the subscription via e-service at http://www.ais.co.th/eservice.html or via MyAIS application. If I need to switch from pre-paid to post-paid service or vice versa, can I still use the AIS ZoneAlarm service normally? No. When any changes occur in the payment system, the AIS ZoneAlarm service will automatically be terminated. You can re-subscribe the service by using the USSD code *689*1#. Once I have completed the subscription and installed the application from the SMS link, Are there possible cases that the application is not fully activated? To activate the app disconnect the Wi-Fi and connect to carrier Data. If the device is not connected to both Wi-Fi and 3G/4G, the system will display this error message. To activate the app the device needs to be connected to carrier Data. When trying to use the app on a non-AIS device, the system will display this error message. The ZoneAlarm Mobile Security service is not activated. In order to activate it, please contact customer service (ERROR_CODE). When there’s a problem with service provider, the system will display this error message. It is not possible to activate ZoneAlarm Mobile Security app due to a technical error. Please try again and if the problem persists please contact Customer service (ERROR_CODE). Secure your online lifestyle from cyber threats. Be safe now! Compatible with iOS 9.0 or later versions and Android 4.2 or later versions.